Are you the kind of person who takes delight when people slip on ice? Do you often wonder what dark plans that angel must be forging while stuck at the top of the tree? Have you ever noticed that your snowman is in a slightly different position from before? 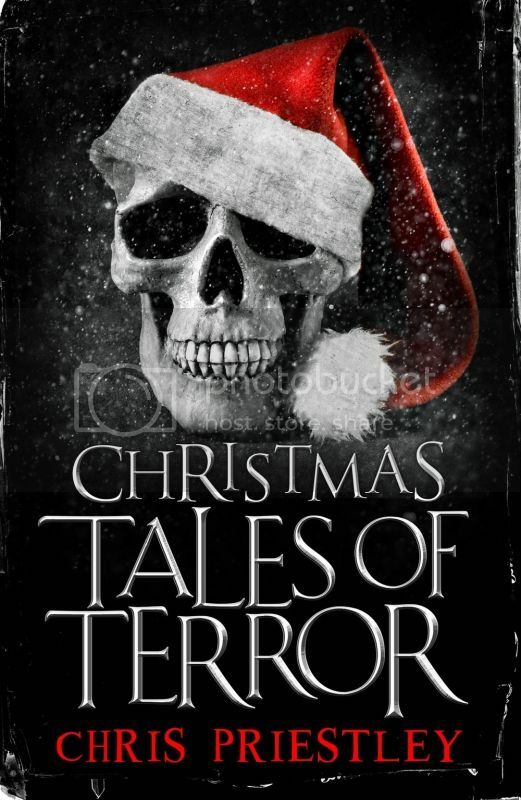 If you have, then you sound like someone who enjoys a bit of a scare at Christmas time and will surely love the brand new ebook from Chris Priestley – Christmas Tales of Terror. In this specially written ebook you will find malevolent snowmen, carol-loving corpses and a toy with an evil mind of its own. Chris Priestley is on top form in these atmospheric, clever and thoroughly chilling stories. Add a new kind of chill to the fluffiest of seasons with seven brilliantly conceived examples of why you'd better be good at Christmas time. The book can be bought on Amazon for the very festive price of £2.48. 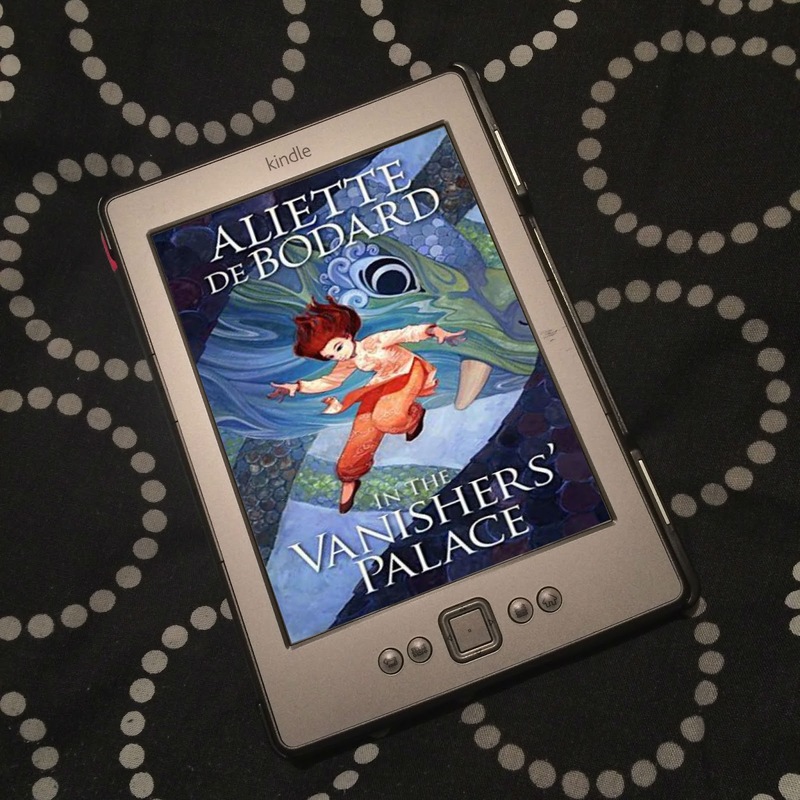 I wanted to give you a heads up as this is the last of our acquisitions in the New Adult genre publishing this year – and they’re out to buy on your eReader today. GROUNDING QUINN and DELICATE are both written by the brilliant Steph Campbell. 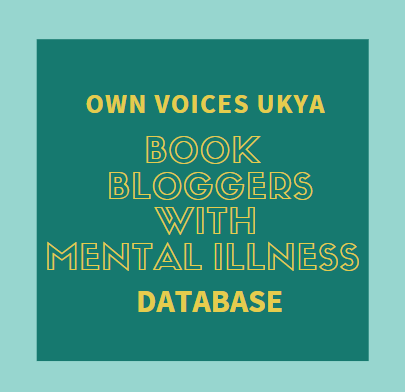 She’s become a bestselling indie-author through self-publishing. She’s frequently appearing high up the charts on GoodReads – with over 6,000 reviews already to her name. Steph’s writing and storytelling are page-turning, addictive and moving all at once. They’re a little softer than the New Adult we’ve been seeing so far and I love that about them. You’ll fall head over heels with Quinn and Ben in GROUNDING QUINN – Ben is possibly New Adult’s only nice guy to date…! DELICATE features Sydney, Quinn’s best friend, and a love triangle between her jealous boyfriend Trevor, and charming new guy Grant. 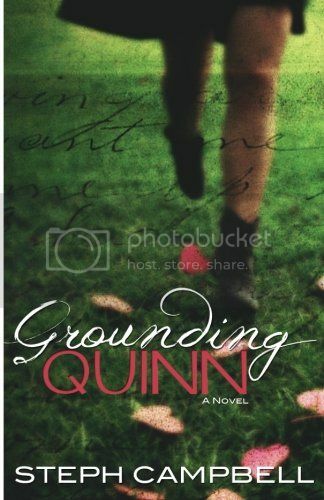 Grounding Quinn by Steph Campbell - Eighteen-year-old Quinn MacPherson's biggest fear has always been turning out like her mentally unstable mother or cold-hearted father. That is, until she meets Benjamin Shaw. Quinn thinks hooking up with Ben over summer vacation will be nothing more than a quick fling, and with his hot body and heart-breaking smile that's all she really wants from him. But she quickly realises that, Ben is not just some guy. He gets her - the real her, flaws and all - and that scares the hell out of her. So when Ben does the unthinkable and tells Quinn he's in love with her, she does what comes naturally: she pushes him away, breaking his heart, before he can break hers. Ben isn't prepared to let go that easily, he knows that Quinn is something special, and he'll do whatever it takes to make sure they're together. But will he be able to persuade Quinn to open herself up and allow Ben in to her life… and her heart? 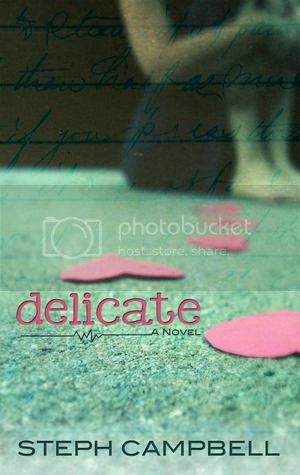 Delicate by Steph Campbell - With a thriving gymnastics career, her loving boyfriend Trevor and a stellar academic record, anyone would assume that Sydney Pierce has it all. 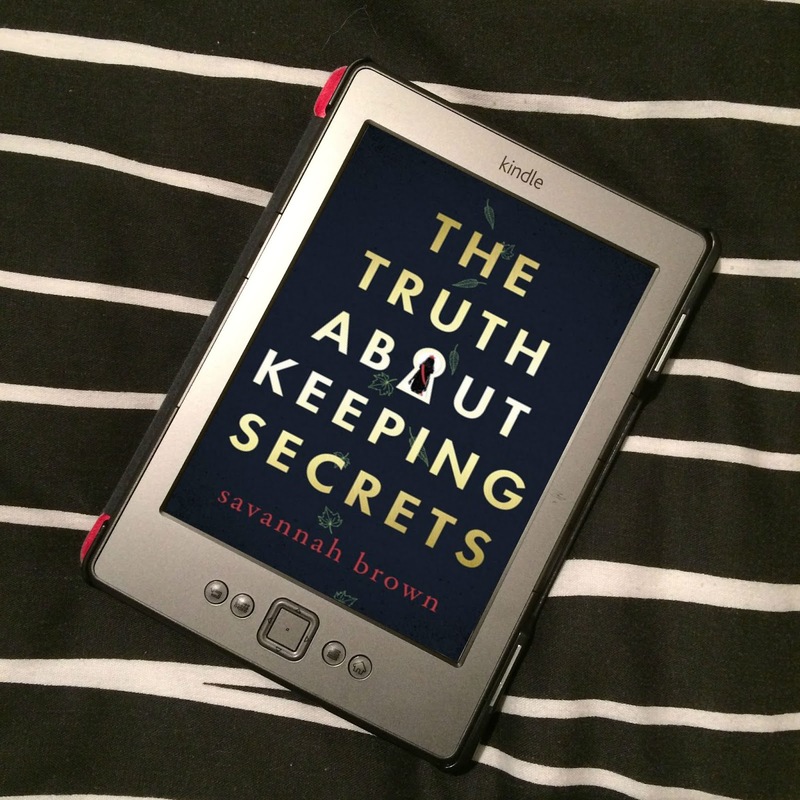 But beneath the pretense of perfection, Sydney's life is crumbling around her and she's terrified that everyone will find out that she's living a lie and is desperate to try and keep the world from discovering the truth. Then the gorgeous and charming new boy, Grant, starts paying her attention, and Sydney's carefully crafted life is thrown into chaos and confusion; why is he the only one who seems to be able to break down her barriers and care for her because of her imperfections? Sydney knows she should stay away from Grant, but she can't deny the attraction between them, and, as their connection grows deeper, Trevor's jealousy takes an intense and dark turn, forcing Sydney into a position in which not only her happiness, but her safety is at stake. Can Sydney learn to let go of everything she is clinging to in order to gain everything she has ever wanted or will she realize her breaking point too late? An early Christmas present from Strange Chemistry. For the rest of December, they are offering a Buy One, Get One Free deal on the eBooks of their five launch titles; Blackwood by Gwenda Bond, Shift by Kim Curran, Poltergeeks by Sean Cummings, The Assassin's Curse by Cassandra Rose Clarke and Katya's World by Jonathan L Howard. For more info, read the press release. Simon & Schuster Children’s Books, alongside Aladdin, an imprint of Simon & Schuster Children’s Publishing in the US, announced on 6th December 2012 the acquisition of further titles for the bestselling Dork Diaries brand, as they celebrate the launch of the fifth title in the series. In the new deal, Jane Griffiths, Commissioning Editor at S&S UK, acquired UK and Commonwealth rights for three new titles in the series from Angharad Kowal at Writers House UK. The deal comprises two novels continuing the series, and one spin‐off journal. First published in February 2010, the Dork Diaries series now boasts 8 million English‐language copies in print worldwide, including 1.3 million copies of UK editions. The series has shown huge growth, with UK sales in 2012 up 46% on 2011 and sales in the Australian market up 77% on 2011 YTD.